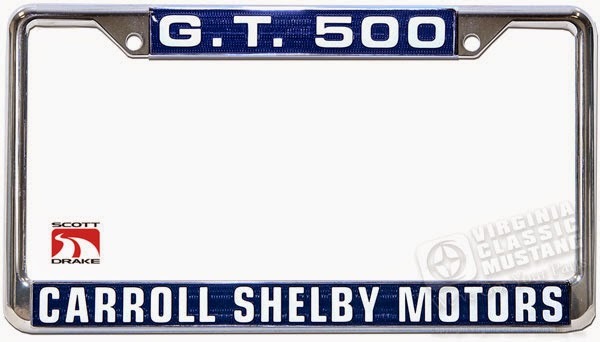 We just received these beautiful license plate frames and have them in stock for purchase. They are high quality pressure zinc die cast frames with very nice chrome plating. 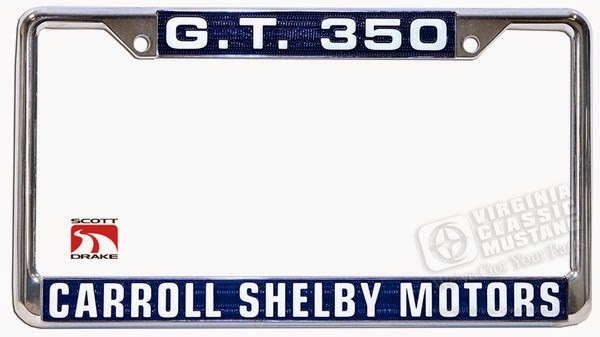 They are available in both GT 350 and GT 500 configurations - both with Carroll Shelby Motors lettering as pictured.